All of the services we provide here at WDM Chartered Accountants have been created with the most important person in mind…YOU! Our mission is to build a strong and profitable relationship with each and every one of our clients. We will get to know you and your business so we can serve you best and will take the time to really find out what your exact needs are before recommending any services to ensure they are right for your business. 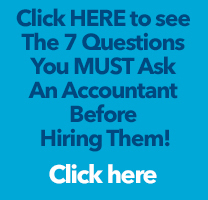 Just for starters, when you make the decision to become our client you will no longer have to put up with those absurd accountancy bills that a lot of accountants charge…..and that’s because all of our fees are FIXED From Day 1, so you’ll never get a shock or any horrible surprises. And to ease your cash flow, you can pay us a low affordable monthly fee rather than having to pay us a bill in one go at the end of the year. The last thing anybody wants is to make an enemy of the tax man, so it’s crucial to keep complaint for any business. But that doesn’t mean it should keep you from running your business and doing what’s most important for your business. To take all the stress away from you, all our compliance services are fully managed by our expertly trained team. When we meet with you we will take the time to understand the areas in which we can help you and agree the services which will be most suitable and beneficial to your business and all this for a low fixed monthly fee. To make this process as simple as possible we will take you through every step from collating all the necessary information, to preparing the relevant paperwork and meeting all deadlines. To ensure you have no deadlines, penalties or interest to worry about, at the start of every year we will inform you of all your responsibilities and requirements. In order to make your life easier and to allow you to focus on managing and growing your business, we can offer you great time-saving services. As a business owner why would you want to waste your time and resources on chores that don’t generate you any money, when WDM can take care of absolutely everything for you – properly, efficiently and cost effectively? We will look at your budget and exact needs before recommending any of our services so that you and your team are not distracted from your strategic business goal….to increase profits and grow your business. All of this is to an agreed, fixed fee rolled into your normal monthly payments. And as you would expect from us, an accountant like no other, every single one of these services comes with our FREE unlimited support. Our specialist services are focused on making sure you earn more money and keep more of that money for you, your family, and your lifestyle…whatever the size and type of your business. We are experts in dealing with family run businesses, not for profit organisations, solicitors, medical professionals, contractors and the motor industry. And if at any time you’d like to add to the services you are currently receiving, we’d be happy to prepare a price adjustment for those additional services. Choose from our wide range of accounting and tax services to help you run your business and comply with tax law. Get peace of mind knowing that your personal financial affairs are being handled accurately, on time and in a tax-efficient way. Providing specialist advice on tax and business to the legal profession from contractors, dentists and many more. In order to simplify your payment process, we also offer a Premium Credit service, which provides you with the opportunity to divide your fixed fee into a set of monthly payments.